Are you interested in seeing your parent’s Naval Records? You have to be the son, daughter or spouse of a person who served in the Navy. I found this great website that takes you through the process of requesting his or her records. The response to my request for my father’s records came some 4 to 6 weeks later and it had about a ½ inch of information that I never knew. 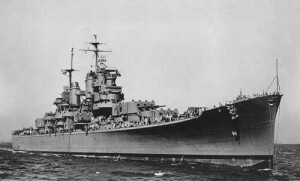 It had his enlistment paperwork, including addresses and information about his parents, his promotion records, his leave dates, and a VERY interesting summary of his service on the USS Boston. The records list every conflict the ship was involved in while he was on board. Other nuggets of information include when the ‘crossing the equator’ ceremony was held, of course presided over by Neptunus Rex! Their approximate departure date from the service. If you don’t know, guess 1-2 months after he left the ship. You may be charged for this request; in the past people were charged up to $40.